You’ve most likely heard about Adobe’s plans to discontinue Flash and have realized that you have a lot of work ahead of you. 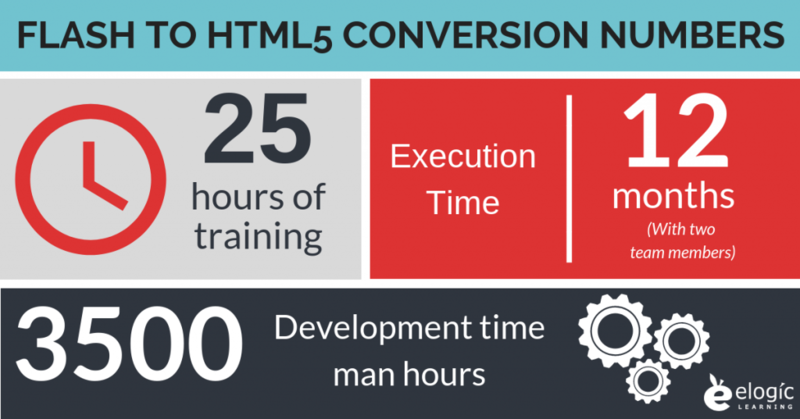 To convert Flash to HTML5 can be an intimidating project, especially if you have a lot of courses with Flash elements. That’s understandable – it’s a very time-consuming process, and involves working with a lot of files that haven’t been touched in years. Files could be corrupt or out of date, and the courses themselves probably need updating. You might not have a lot of manpower to dedicate to the project, and there’s a hard deadline. 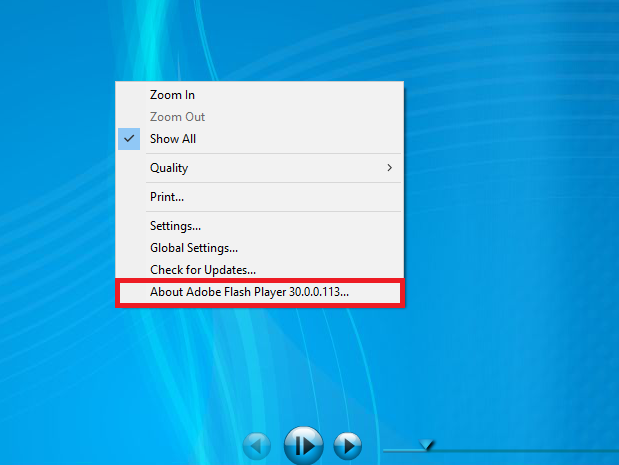 This indicates that the course is using Adobe Flash Player in order to run. Add it to the list of courses that need to be updated. You should also prioritize the courses; that way the most important, time-sensitive courses will be converted first. In case there are snags in the process, you want to make sure that the most important ones are done on time. It’s also extremely helpful if you know what authoring tool or course development software they were built with. Make note of this as the process for converting these may differ slightly based on the tool it was built with. Next, to convert Flash to HTML5, you need to find the original assets from those courses. Having access to the original asset files will make it easier for your instructional designer or course developer to simply rebuild the course and export it in HTML5. This option will also be cheaper than having to rebuild any assets. Convert the content: This involves simply taking the aforementioned assets and exporting the course in an HTML5 format. This will likely be the cheapest option. Generally speaking, it will also take the least amount of time. But, again, this depends on whether or not you have all the courses asset files on hand. Rebuild the course: This is (for the most part) the only option available to you if you don’t have access to the original asset files. Some people may also choose to rebuild the course if they want to take this as an opportunity to update the material. Courses that are a few years old may benefit from updating the visual style or content. A rebuild is a very intensive process that requires a talented instructional designer or course developer. It will also be a more expensive and time-consuming choice, but well worth the investment when the alternative means you have a broken course that won’t work. If you do decide to take this opportunity to work on some course updates and improvements, you’ll need to set aside some time with your instructional designer or developer to choose which parts of the old course can be kept and which need updating. This may take some time depending on how many courses you decide to make updates and the kind of updates. Something else to consider: is the course currently mobile responsive; and if not, does it need to be? This would change the scope of work needed to rebuild a course. This isn’t an exhaustive list so consider which individuals your specific organization will need to speak with and include in the planning and conversion process. Use all this information you’ve gathered to put together a final plan to convert Flash to HTML5. Decide what time and resources you need from each stakeholder to complete the process smoothly. Make sure to include any hired instructional designers in the planning; they will be able to use their expertise to help you strategize. And, if all of this has you wanting to pull your hair out, then know there are other options available to you. If your team needs to focus on current training initiatives then we recommend looking into hiring a course development team that can take the conversion process off your hands. The Learning and Solutions department at eLogic Learning can help assess your courses and give you a better idea of what the conversion process will look like for your particular courses, an estimate based on the scope of work, and an approximate timeline of completion. If you’d like us to work with you on taking a look at your courses and estimating the cost of conversion, then fill out this form and we will reach out to talk.